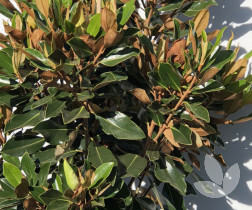 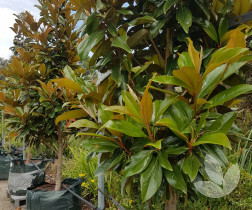 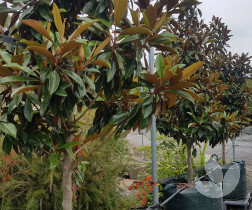 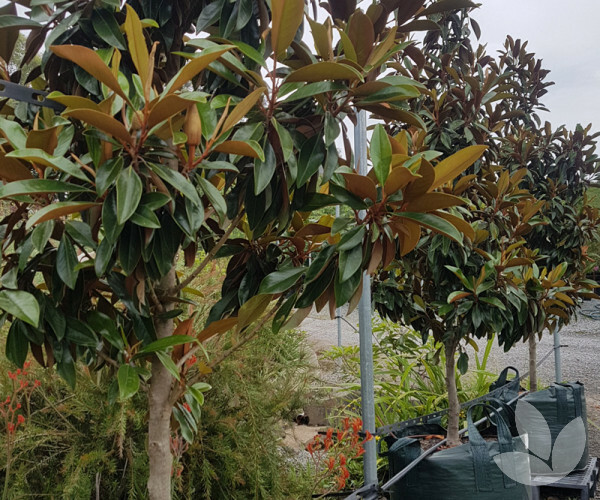 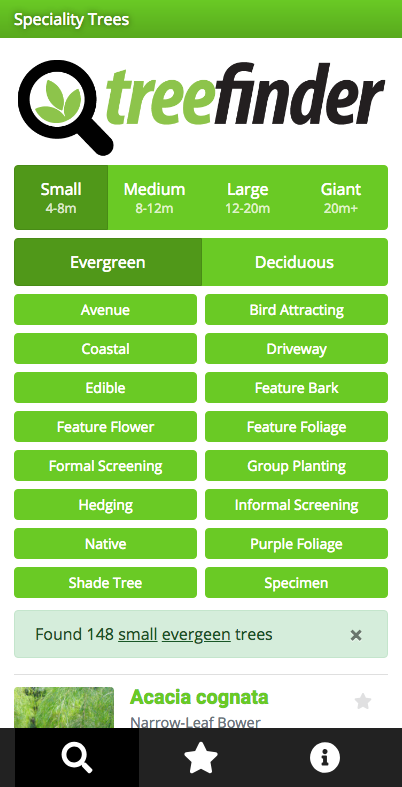 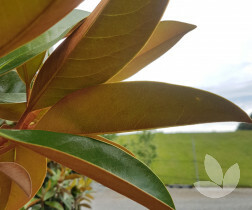 This is a new selection of evergreen Magnolia suitable for little spaces in full sun or part shade. 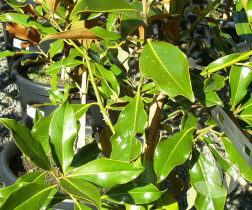 Foliage grows full and is, therefore, more compact than similar hybrids such as 'Sweet Carolina'. 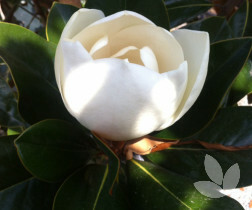 Large creamy white flowers are produced through summer and autumn. 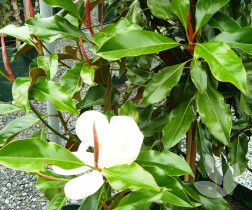 This is a variety suitable as a stand-alone specimen or flowering screen. 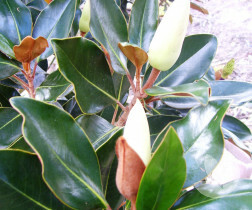 It can also be trimmed into a hedge if preferred. 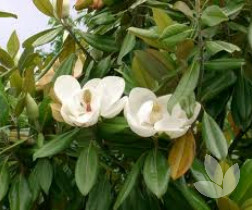 Grows best in any well-drained soil in a full sun or partly shaded position. 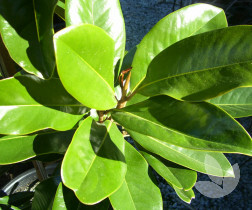 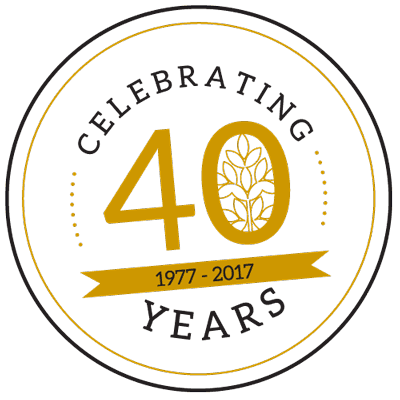 A low water user, once established.